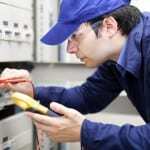 We offer electrical rewiring services for both commercial and residential customers in the area. 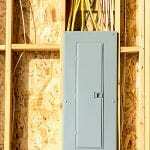 The electrical wiring in your home serves a very important function. Without proper wiring, your light fixtures won’t turn on and your outlets won’t deliver power to your electronics and appliances. Outdated wiring can pose a safety hazard, especially if you’re overloading the plugs with high-wattage devices. Some of the warning signs of electrical wiring issues include light switches and outlet covers that feel hot to the touch or have smoke coming out of them, flickering lights, or constantly blown fuses. If you experience any of these issues in your Mt. Holly, North Carolina home, our electricians at Lamm Electric are here to help. We offer electrical rewiring services for both commercial and residential customers in the area. Our team members often work with clients as part of a renovation or remodeling project as this makes it easier to create the holes needed to install new wires. However, if your wiring is in need of replacement, it’s important not to put it off. 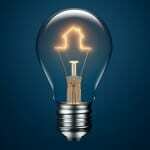 When we’re performing electrical rewiring services at your property, we can also help you plan for the future. For example, you might want to add a few outlets to various rooms in your home that have never had enough. Planning ahead can save you time and money in the long run, especially when we’re working on the wiring in your home already. For electrical rewiring services that are performed by skilled and licensed electricians, trust the team at Lamm Electric. 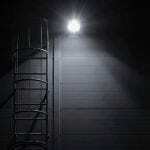 We offer competitive pricing on all the electrical services we provide.